Next of Kin: Eldest son of Mr James Hickling of The Manse, Cowleigh Road. Previous Employment: Gardener at Lambton Castle, County Durham. Reginald was for two years a gardener at Lambton Castle, the residence of the Earl of Durham, before going into the army. In former years he was employed at Madresfield Court gardens. He joined the 22nd Durham Light Infantry in March 1915 but transferred to the Royal Flying Corps in April 1916. In March 1917 he joined 13 Squadron in France, serving as a gunner/observer. 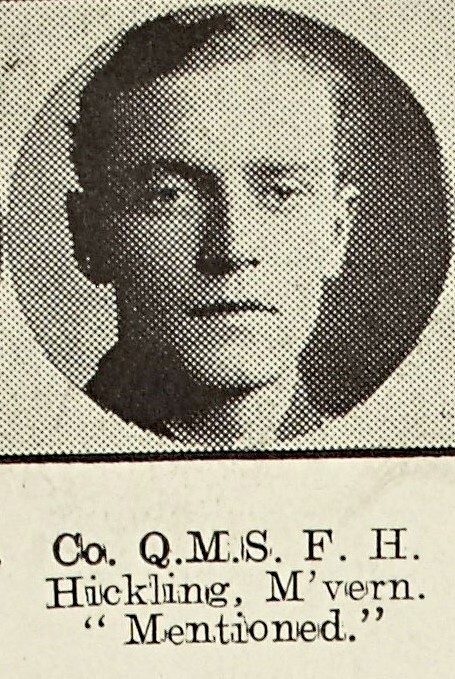 He was killed in action on 7 May 1917, when engaged on a photographic mission for XVII Corps over Fresnoy. According to contemporary sources, he and his pilot, 2nd Lieutenant Iorwerth Roland Owen, became embroiled in an unequal contest with five enemy aircraft of Jasta 11, and one of them, piloted by German ace and “Blue Max” holder Leutnant Karl Allmenroder, shot them down. Reginald was buried at Albuera Cemetery at Bailleul-Sire-Berthoult in the Pas de Calais and Lieutenant Owen (the son of Dr. Rowland and Margaret Owen, of Arley House, Seaforth, Lancashire) is buried at Ste Catherine British Cemetery. 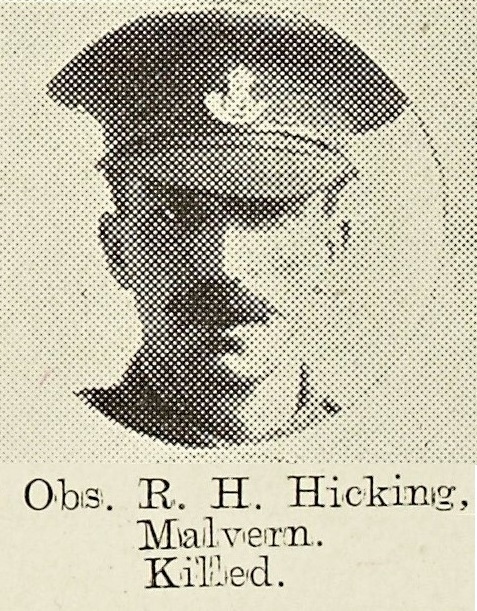 The following week it was reported that Reginald Hickling’s brother, Frederick who was a Company Quartermaster Sergeant in the 2/8th Worcestershire Regiment had been Mentioned in Despatches. In June 1919, he was also awarded the Meritorious Service Medal.